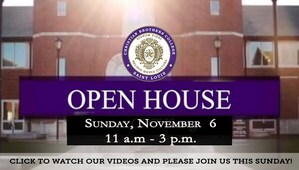 We are excited to welcome future CBC families to campus for Open House on Sunday, November 6, from 11 a.m. - 3 p.m.
Join us to learn more about our academic initiatives like the CBC Honors Program, CBC STEM Academy, Learning Needs Program, Leadership Program and more. Members from every athletic team, Fine & Performing Arts Program and all of our school clubs will also be on-hand to talk about the unparalleled student experience offered to every Cadet. Check out these videos from our students to learn more about CBC!